Altered books--or a positive thing to do with Discarded Books! Would you like to have teachers begging you for discarded books? If so, talk them in to doing a project with discarded library books as a culminating activity for a unit on a novel, or anything else that requires a creative approach! 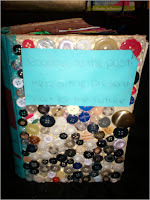 Our English 10 teacher had students make an Altered Book using as a culminating activity for their class. In the past, the book may have focused on a book they studied during the year that they liked, but the two pictured were made as a way to review the highlights from all their work in English 10 (World Lit for us). One of the books also contains poems and creative writing from the class as well. 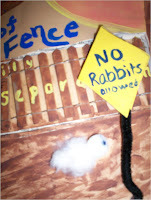 This activity greatly appeals to students who enjoy scrapbooking, or working with their hands to create. Think of students who need that creative expression. collage, altered books, artists journals, and more. Gloucester, Mass. : Quarry Books, 2005. Geez, now that I am looking at this list from my Bookbag on OPAC, I am wondering why they aren't cataloged together. Lucy and Ethel will have to work on that in our spare time!